According to a press release just sent out by Amazon, the company's Appstore will be headed to Europe this summer as rumored, though only to five countries to start. The United Kingdom, France, Germany, Spain, and Italy will all be getting access to Amazon's Appstore in the coming months, and developers can head over to the App Distribution Portal to get started on certifying their apps for distribution in those countries right now. Building on that, developers will now be able to control where and when their apps will be available to customers. Additionally, Amazon has made some changes to the terms of its developer distribution agreement. From here on out, developers will receive a 70% commission of the list price of their apps, as opposed to the old system of 70% of sale price or 20% of list - whichever was greater. Because Amazon retains the right to (and does) change the price of apps on Appstore at any time, the old system caused a developer to make even less money if their app was severely discounted by Amazon. For example, if a $5 app was reduced to $1 by Amazon, the developer would receive a commission of $1 under the old system (20% of $5). Under the new system, they'd receive $3.50. Good stuff. For more info, hit up the full press release, below. 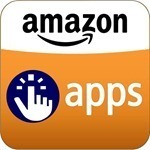 SEATTLE, Jun 20, 2012 (BUSINESS WIRE) - Amazon.com, Inc. today announced that developers can now submit apps for distribution this summer in the United Kingdom, Germany, France, Italy and Spain, with plans for further global expansion in the near future. Developers can get started by visiting the Amazon Mobile App Distribution Portal. "We've seen that Amazon gamers are hungry for great content and are willing to open up their digital wallets to pay for it," said Niccolo de Masi, CEO and President of Glu Mobile. "Our latest title launched on Amazon, Frontline Commando, has seen both revenue per daily active user and lifetime value metrics exceed averages as compared to other devices and platforms. Taking a successful platform like Amazon's and expanding it across the globe is going to give us an even broader customer base and create an opportunity to generate even more revenue--something we are very excited about." "We are delighted with the strong relationship that we've cultivated with the U.S. Amazon Appstore since its launch, and Kindle Fire has been hugely successful for our titles," said Peter Vesterbacka, CMO and Mighty Eagle of Rovio. "As a strong global brand with an international fan base, we are very excited to expand our offerings to Amazon's customers worldwide." "With fan-favorite games like Plants vs. Zombies and SCRABBLE topping the charts, the U.S. Amazon Appstore has been a fantastic avenue for EA to reach an entirely new segment of consumers," said Bernard Kim, Senior Vice President of Global Social & Mobile Publishing for EA. "Amazon's international expansion marks an exciting opportunity to bring our interactive entertainment experiences to even more consumers around the world." "Allrecipes.com Dinner Spinner is the #1 cooking app for the U.S. Amazon Appstore and Kindle Fire, and our community engages with our apps 45 percent more on Kindle Fire devices than any other device, so we know they love and trust the Amazon app platform," said Lisa Sharples, President of Allrecipes.com. "Allrecipes is a trusted global brand with successful international apps and we are very excited to have Amazon help us connect with new international home cooks." "We are thrilled at the success our developers have experienced on the Amazon platform in the last year," said Jim Adkins, Vice President of the Amazon Appstore. "Some developers have seen revenue double since the launch of In-App Purchasing. We're excited to open the door to even more opportunity by expanding app sales outside the U.S. We see tremendous potential for current developers in our distribution program to grow with the international expansion. We also encourage new developers to join and participate in the platform's growth." Developers should visit the distribution portal to learn about localizing apps with localized resource files for different regions, as well as other tips on how to prepare their apps for international distribution. Developers have the ability to select the countries where they would like to sell their apps. They can also set their list prices by marketplace. Those already participating in the program will automatically have their apps made available for sale internationally by default. And developers can easily change international availability for their apps via the distribution portal if they don't wish to sell in select countries. Developers who are new to the program can sign up at the Amazon Mobile App Distribution Portal. Today Amazon is also announcing two changes to the Amazon Mobile App Distribution agreement. First, building on the success of the April In-App Purchasing launch, and to simplify our global terms, Amazon is aligning the revenue share for paid apps with that for in-app products sold using Amazon's In-App Purchasing Service. Starting on July 1, developers will earn 70 percent of list price on each paid app sale. This is a change from the prior terms under which developers earned either 70 percent of the app's sales price or 20 percent of list price (whichever was greater).